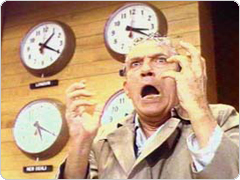 At the risk of sounding like newscaster Howard Beale in the movie Network, when he instructs his viewers to go to their windows and yell out: “I’m mad as hell and I’m not going to take this anymore!” the state of economic development in America today is positively apoplectic. The number of deals for which states and cities can compete remains very depressed, so those elite companies that can move lots of capital and jobs—or threaten to move—are taking it to the bank. That’s why the number of big-ticket “megadeals” has surged since 2008. The corporate rich are getting richer—on subsidies. That’s why Boeing can get 22 states to rapidly assemble bids for its third public auction in 10 years. That’s why “job blackmail” for eight and nine figures at a pop is rampant in states like Ohio and New Jersey and Illinois. Deal supply is down and demand for deals is up (i.e., anxious politicians). Put those curves together and the price soars: you get megadeals averaging $456,000 per job. Does anyone seriously believe taxpayers can ever break even on such gold-plated giveaways? Never before has a governor made interstate job piracy a partisan sport. But there goes Texas Gov. Rick Perry doing it six times since February and pledging to continue. And there sit the National Governors Association—and all the regional governors’ associations—mute and MIA. Never before has there been a concerted effort by a group of business leaders in a multi-state metro area to forge a two-state cease-fire. But since April 2011, seventeen business leaders in the Kansas City metro area have tenaciously yelled publicly at and negotiated privately with Missouri Gov. Jay Nixon and Kansas Gov. Sam Brownback to fix the abuse of job subsidies that has already wasted more than a quarter-billion dollars on short-distance corporate relocations. Jobs have become so politicized that some governors have chosen to create captive non-profit corporations —“public-private partnerships”—and privatize critical economic development functions, loading their boards with campaign contributors and creating structures that often evade basic safeguards such as open records laws, audits, and salary caps. Then last week began a remarkable series of events in Illinois. The state’s House, thwarting the Senate, refused to approve subsidy packages to three companies including Archer Daniels Midland (ADM), the agribusiness giant with $90 billion in sales that wanted $30 million to keep its headquarters in the Prairie State. The stunning turndown spoke to enormous public anger over past job blackmail packages to Sears, CME, Motorola Mobility, Navistar International, and many others—given away while the state substantially raised its personal and corporate income tax rates, and also cut public employee pensions. We must resist the temptation to cave to corporate officials’ demands every time they impose a deadline for payment in exchange for remaining in Illinois, and end the case-by-case system of introducing and debating legislation whenever a corporation is looking for free money from Illinois taxpayers. This practice creates an unsettling and worrisome appearance of some new kind of corporate pay-to-play, which should be troubling to other business leaders and their shareholders, public officials and Illinois taxpayers. …Presently, four Illinois corporations are seeking… tax breaks or incentives. If their requests are approved by the Legislature, these corporations would, collectively, see their tax burdens decrease by approximately $67 million. The companies requesting these taxpayer-funded breaks currently pay little to no corporate income tax to the state, contributing little or nothing to help fund the very services from which they benefit significantly. Meanwhile, middle-class families continue struggling through a recession and job loss. So I find it very difficult to support tax giveaways for corporate CEOs and millionaire shareholders whose companies pay little in state taxes. I question our priorities when corporate handouts are demanded by companies that don’t pay their fair share while middle-class families and taxpayers face an increasing number of burdens. According to the 2011 census data, the per capita income for an Illinois resident is $29,376. Assuming a 5% state tax rate, more than 45,000 new individuals would need to begin paying income taxes to make up for the lost revenue… … without new revenue, these giveaways are only possible by making additional cuts to crucial programs that impact working men and women across Illinois. What’s in your Speaker’s blog? And now comes news this morning that ADM has decided to keep its corporate headquarters in Illinois, relocating it from Decatur to Chicago (although some tech center jobs remain in play). The state called ADM’s bluff! Howard Beale prevailed! Buckle up for 2014; we’re heading into turbulence! Last week brought three major investigative articles about the American Legislative Exchange Council (ALEC), the corporate-backed network of state legislators, and its ties to the State Policy Network (SPN), a group of conservative think tanks often associated with proposals to suppress wages, cut social safety net spending, and make tax systems more regressive (among many other things). The articles—based on leaked internal ALEC documents— were published by The Guardian, the U.K.-based newspaper that also broke many of Edward Snowden’s NSA revelations. Find the articles themselves here and here and here. Readers may remember that ALEC gained harsh attention in the wake of the Trayvon Martin killing because of its advocacy for “stand your ground” laws like the one that shielded Martin’s killer. The Guardian articles indicate that the ALECexposed.org revelations from the Center for Media & Democracy and related exposés from Common Cause, Color of Change and others have taken a toll on ALEC, costing it more than 40 corporate members and almost 400 state legislator members. But specifically regarding the State Policy Network, the Guardian’s most important revelation is a summarized list of funding proposals from SPN groups to the Searle Freedom Trust, a conservative foundation. The proposals were to be reviewed and ranked by Stephen Moore, a conservative activist who wears multiple hats, including Wall Street Journal editorial board member. Only brief summaries of the proposals were disclosed (one can only hope The Guardian has more to reveal). Published in cooperation with the Portland [Maine] Press Herald and the Texas Observer, they are remarkable, outlining work to eliminate state income taxes, reduce public employee pensions, oppose Medicaid expansion, create a single tax-free county (no income taxes but right to work), privatize a state department of transportation, criticize the streamlined sales tax, encourage workers to leave their union, and promote new super-majority requirements to raise local taxes. The John Locke Foundation (North Carolina) sought “$50,000 to discredit the use of the IMPLAN model in regional economic impact analyses,” including publication of a primer and six staged events. This request struck us as odd: IMPLAN is a widely used, mainstream input-output modeling software product (like its commercial rival REMI or the federal Bureau of Economic Analysis tool, RIMS-II). IMPLAN is 37 years old and moved from Wisconsin to North Carolina earlier this year—with no subsidies. As Good Jobs First regularly points out, economic development subsidy abuse is not a partisan issue and many reform episodes have been bi-partisan. Transparency is the most common left-right common ground, but differences often emerge when it comes to alternatives: if a program is eliminated or curtailed, is it better to spend the resulting savings on corporate tax cuts and deregulation or on skills and infrastructure? The summary also shows BHI as having received grants in both 2010 and 2011 from the Searle Freedom Trust: an uncompleted project on “Pension Reform” and another including “a large time series database that contains valuable detailed characteristics of public employees—data BHI is now sharing with researchers at other SPN organizations.” BHI also shows up in the John Locke Foundation proposal in North Carolina, which said it “will partner with the Beacon Hill Institute” in the aforementioned review of IMPLAN. Finally, the Empire Center for New York State Policy’s proposal summary says it will issue a study on the state’s estate tax in conjunction with BHI. The BHI proposal that would be considered successful if it helped repeal or diminish the Regional Greenhouse Gas Initiative was apparently news to Suffolk University: when the Guardian inquired, the University “sharply criticised the research proposal to the Searle Foundation” and said in a statement that it would never have approved the BHI proposal if it had been submitted for prior review. I laud the recent statements by Pope Francis and President Obama on inequality—and urge them and everyone else to acknowledge how the escalating Economic War Among the States is a growing part of the problem. Take, for example, The Boeing Company. For the third time in 10 years, it is staging a public economic development subsidy auction for some of its jobs. It is hard to imagine a more regressive event. Let us count the ways. On two days’ notice last month, the company prevailed upon the Washington State legislature to go into special session and offer Boeing and its suppliers a subsidy package valued at $8.7 billion—the largest “megadeal” in U.S. history. If Boeing takes the offer (and that is hardly assured, read on), that would be more than half a billion dollars per year for 16 years—more than twice what the state provides to the University of Washington. It would mostly consist of a discount on the state’s Business & Occupation tax, a gross receipts tax. Given Boeing’s enormous marketplace power (only Airbus really competes with its commercial lines), the company would likely pass along that normal tax-rate cost to its customers, most of whom are foreign-based airlines, as well as U.S. airlines based in other states. In other words, Washington residents would either have to pay higher taxes or suffer lousier public services (or some of both) instead of having Boeing’s out-of-state customers support better services. Washington State lacks an income tax. In fact, as the Institute on Taxation and Economic Policy has found, it has the most regressive tax system of any state in the U.S.: low-income families there pay more than six times the share of their income in taxes than do one-percenters. So any new tax burden shifted from Boeing’s customers would fall extremely unequally. Boeing’s tax dodging is hardly limited to Washington State. As Citizens for Tax Justice has documented, the company received net rebates of $96 million in state corporate income taxes for the decade 2003 through 2012 despite making more than $35 billion in pre-tax U.S. profits. For the same decade, Boeing also received federal income tax rebates totaling $1.8 billion. Of course, the financial benefits of Boeing’s tax avoidance flow to its shareholders, who are disproportionately the global wealthy. Boeing has also used its power to whipsaw states against each other as a way to suppress wages and benefits. Washington State thought it won a 21-state sweepstakes for the 787 “Dreamliner” line in 2003 with a subsidy package valued at $3.2 billion. But Boeing later built a second 787 line in South Carolina, publicly denouncing Machinists members in Puget Sound for striking. I say it’s hardly assured Boeing will accept the $8.7 billion offer from Washington State, because it simultaneously demanded a deeply concessionary contract from the Machinists. The day after workers voted it down 2-to-1, the company launched a very public auction for the 777X, with bids already reported in the works from Alabama, California, Georgia, Kansas, Missouri (special session), North Carolina, Pennsylvania, South Carolina, Texas, Utah, and Wisconsin. Among the union concessions Boeing sought was the termination of defined pension benefits, which would earn, as Seattle Times columnist Dan Westneat explained, a 30-year Machinist about $2,700 a month on retirement. Instead, the company seeks to replace defined benefits with a lesser 401(k) plan. Boeing CEO Jim McNerney has also led the Business Roundtable, the elite U.S. corporate group that has called for raising the Social Security retirement age to 70 and reducing benefits by changing inflation calculations. The Economic War Among the States, which Boeing is openly stoking and which we have documented is on steroids with a surge in “megadeals” since 2008, is absolutely driving inequality in the United States. Those elite companies with the greatest ability to move capital and jobs—or threaten to move—are taking it to the bank: dodging taxes, enriching shareholders, and using taxpayer-financed subsidy bids as a crowbar to drive down wages and benefits. What would the Pope and the President say?